On your visit to Southern California, let us save you time and provide you with an excellent value in transportation. Whether you need vehicles for a day time tour of the city, hourly service for an evening out, or any other event, let our friendly, knowledgeable professional drivers serve you in one of our sedans or SUVs. 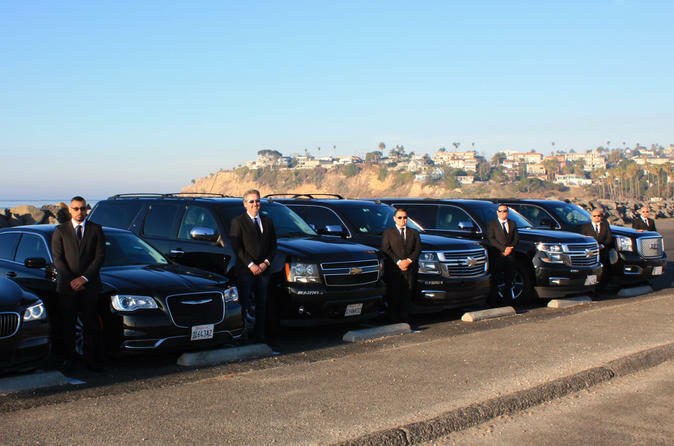 If you are in Southern California on a business, then our executive black car service will get you to your meeting on schedule, and if desired, will remain with you until your business is concluded. Our chauffeurs are professionals and will drive you to your desired location keeping your privacy. We have a late models of luxury sedans and SUVs at your disposal. We guarantee professional service and pleasant experience. Please see our SUV transfer option for parties up to 6 passengers. All fees are included with the exception of gratuity which is at your discretion. All prices are valid from LAX Airport to Santa Monica, Beverly Hills, West Hollywood, Downtown Los Angeles only, other cities are differing costs.